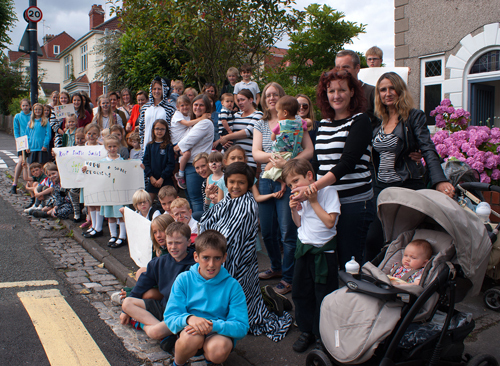 Parents and children came out in force to highlight the risk of injury crossing Redland’s Cranbrook Road. A petition has been set up for a safe crossing to be provided near the junction of Harcourt Hill and Cairns Road, following two near-miss accidents this year. Nine-year-old Rowan Surrey was walking to Westbury Park School with her mother and younger brother, when she was hit by a car near Harcourt Hill. Although Rowan landed on the bonnet of the car, she was physically uninjured. At present there are two designated areas to cross Cranbrook Road and quite a distance between them. 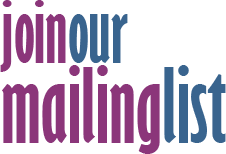 The road is a regular route for parents and children attending local schools, including Westbury Park, Redland Green and Bishop Road and the playgroup at Cairns Road. Rachel Marawah, a mother of children at Westbury Park Primary, said: “It’s a really busy road and it’s just difficult to cross and that’s for an adult, so I can imagine with children, it’s even more difficult. Even though there’s a 20mph limit, no one travels at 20, and it’s quite difficult to travel at 20 on such a straight, wide road. Redland ward councillor, Martin Fodor, has been a keen supporter of the campaign since residents alerted him to the accident risk and recent collisions by speeding cards. Clare Freshwater-Turner believes the campaign is off to a good start. “Everyone seems to be listening. The one thing we do seem to hear is ‘there’s no money, there’s no budget’ but I do hope that the council hear how many people think it’s important to do something about this issue. We’ve got over 300 signatures, we have lots of emails from residents, the schools are supportive, and the police are supportive. "Everyone’s on our side - I just hope that the council will listen and do something about the safety issue,” she said.